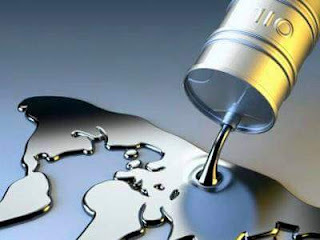 NEW YORK (Bloomberg) -- Crude oil fell from the highest level in two months on expectations that reports will show U.S. inventories rose last week to an eight-decade high. U.S. stockpiles probably increased for a fourth time in the week ended March 4, according to a Bloomberg News survey before government data Wednesday. Ecuador’s foreign ministry said Latin American producers will meet on March 11 to discuss oil prices, while Russia said major suppliers may meet within weeks. China’s crude imports rose to a record in February, while product exports fell to the lowest in nine months. U.S. benchmark oil has rallied more than 40% since reaching a 12-year low on Feb. 11 amid speculation a proposal to freeze production will trim a global glut. A meeting among major producers to discuss capping output may be held in Russia, Doha or Vienna sometime between March 20 and April 1, Russian Energy Minister Alexander Novak said on state television last week. "The rally lacks some substance," said John Kilduff, a partner at Again Capital LLC, a New York-based hedge fund that focuses on energy. "The fundamentals just haven’t changed much. There is still no conclusive production freeze deal." WTI for April delivery dropped 94 cents, or 2.5%, to $36.96/bbl on the New York Mercantile Exchange at 10:16 a.m. The contract gained $1.98 to $37.90 on Monday, the highest close since Dec. 24. Total volume traded was about 38% above the 100-day average. Brent for May settlement fell 92 cents to $39.92/bbl on the London-based ICE Futures Europe exchange. The contract closed at $40.84 on Monday, the highest since Dec. 4. The global benchmark crude was at a premium of $1.12 to WTI for May. China increased crude imports by 19% in February to 31.8 million metric tons from a month earlier, according to data from the Beijing-based General Administration of Customs on Tuesday. That’s equivalent to about 8.04 MMbopd, the highest daily average on record. Oil-product exports slid a second month to 2.99 million tons. U.S. crude output fell for a sixth week to 9.08 MMbpd, according to Energy Information Administration data. Stockpiles are at 518 MMbbl, the most since 1930. There will probably be a price correction by the end of the year, Suhail Al Mazrouei, energy minister of the United Arab Emirates, said Monday. Saudi Arabia, Russia, Qatar and Venezuela agreed last month they would freeze output, if other producers followed suit, to tackle a global oversupply in the oil market.